About Tebow Travel — Travel and Adventure Await You! Welcome to Tebow Travel! Here you will find a collection of the most relaxing dream vacations we have to offer. From sunshine and ocean air, to the misty serenity of the mountains...we've got you covered. We are certified agents who can help you plan, budget for, and save money on the vacation you've been longing to experience. Stay in a haunted and historic beachfront hotel that is paranormal friendly. Check out your K2 meter from the front desk (or bring your own) and do some exploring. (Let us know if you are interested in one of the most haunted rooms!) Don’t miss out on one of the most fabulous ghost tours in one of the most haunted cities in the US. Pamper yourself to a deluxe dinner in one of 4 fine haunted establishments, with good eats while searching for ghosts. Don’t forget to learn a little about the city’s tragic history while visiting a beautiful old cemetery. For added fun, throw in a tour of 150 year old house with 5 spirits in it or experience the tragic death of railway workers by exploring the old railway depot. 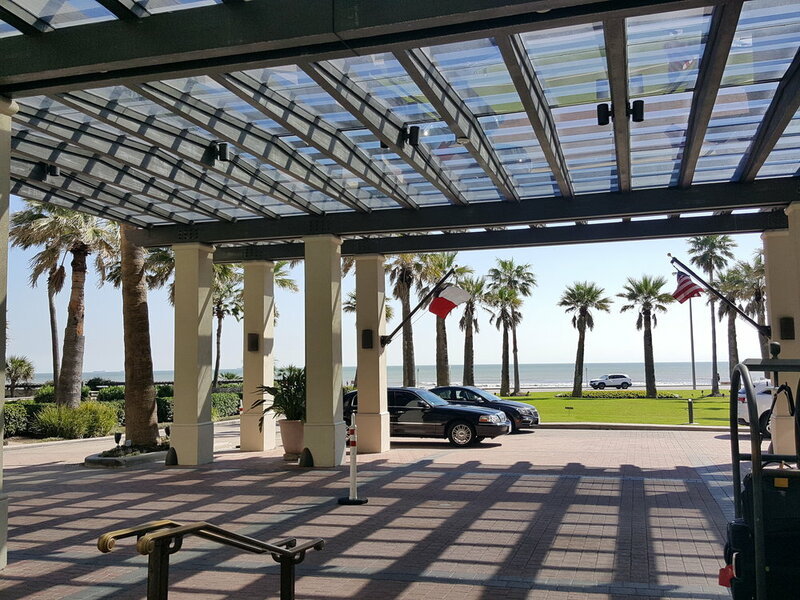 No matter where you go in this beautiful beachfront location, you are likely to find a ghost… or three! You may opt to sprinkle in a cocktail on the veranda with an invisible friend, time in the haunted spa or head out to the beach to work on your tan! Interested in other activities? We can tailor every adventure to meet each guest’s taste. Take one of the most infamous Jeep roads in Colorado up to a private, haunted ghost town. Camp out in the open air of the Rockies and spend your days fishing, hiking and enjoying the scenery of the high country while having your meals, treats and beverages catered in to you. Spend your nights visiting with early miners in this state who just could not stand to leave such an incredible location. Not for the faint of heart, you’ll need to use proper camping techniques to survive both the ghosts and the wildlife! As with all Colorado camping, please keep in mind that we leave no footprint. What you pack in must be packed out. It’s time to ride the rails! Have you ever wanted to see the country from the luxury of a train carriage? Well, this is your chance. We’ve put together a fabulous scenic trip with overnight stops at 5 haunted hotels along the way. Want to steady your legs with a haunted dinner at each stop or maybe a walking ghost tour or a great museum? We’ve got fabulous recommendations to insure your time is just as filled as you want it to be! Spend your days enjoying the views of all that our amazing country has to offer and your nights getting to know folks from the past. 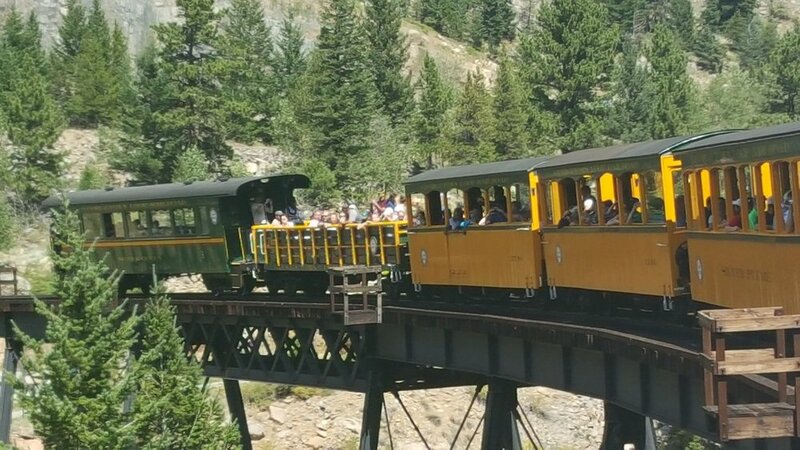 The entire adventure is a step back in time to the golden age of railroads. Enjoy the rest and relaxation of this old Civil War Hospital, which provides the most deluxe and delicious breakfast you’ll ever have! Explore your lodgings but your fun doesn’t stop there! Head into town for a taste of one of the deadliest and most haunted locations in the country. Take the ghost tour of the town where locations to have an encounter abound! See where the orphans of the war were tortured and killed, have dinner at one of the most haunted locations in the country and be sure to visit the very haunted location of a tragic civilian casualty of the battle. Head out for a historical tour of one of the most vicious battles in the Civil War. Choose to tour the battlefield by car, horse or find one of the rare night tours! Don’t forget an evening stop at a historic, picturesque bridge and be sure to check out your photos because, often, more than the bridge shows up in them! In town, out of town or on the battlefield, be sure to keep your eyes open. This is one of the most recognized and most haunted locations in the entire country… and it lives up to its reputation! Back to the days of a fleeting way of life. 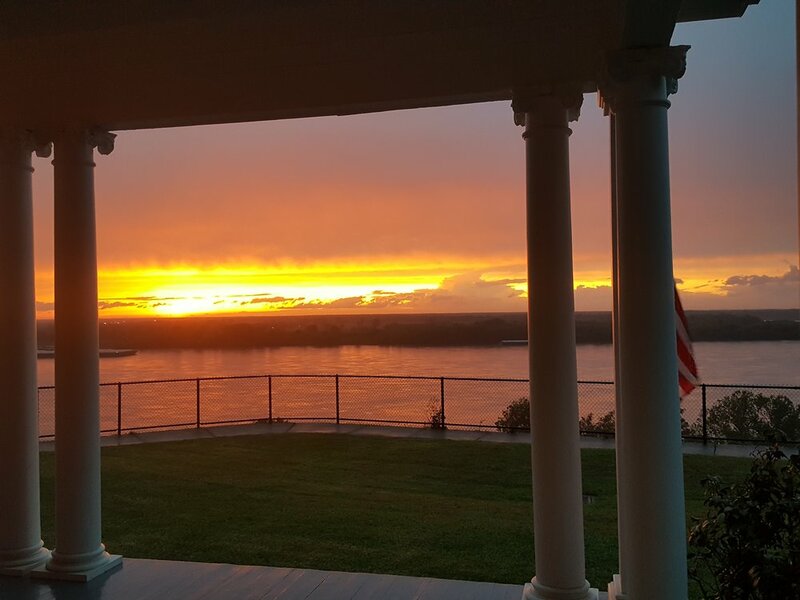 Start your day with a steaming cup of pecan coffee (the best coffee you’ve ever had) at the 1868 coffee shop or take that cup with you for a stroll along the Mighty Mississippi or while toodling through town eyeballing the antebellum houses and buildings. You are going to need a couple after a comfortable night at one of 4 haunted Bed and Breakfasts in town… Then tour a hauntingly beautiful and paranormally active 30,000sf antebellum mansion. Toodle back toward downtown to explore an imposing (and haunted) 11,000 square foot mansion. Stay for an incredibly savory dinner in one of the finest eateries in this city locked in time. Allow us to fill up your following days immersed in haunted antebellum splendor, glorious carriage rides that provide an entertaining history of the town or explore one of the “10 Most Beautiful Cemeteries” in the entire US. Dine down under the hill for an encounter with ladies of the night who never left or try one of the other haunted and delicious eateries in town. Explore the distillery for a taste of spirits (both the alcohol and ghosts) or stop in for a beer at the local brewery, complete with samples. Take a small excursion out of town on one of the steamboats or head South for a night at one of the most haunted B&B’s in the country and to explore an incredibly haunted Civil War Battle Site. Make it a weekend or make it a week, we guarantee you’ll fall in love, meet some great living and dead people and never want to leave. Find out more about this by clicking here. DON'T SEE WHAT YOU ARE LOOKING FOR? Give us a call or shoot us an email. We prefer to design your adventure specifically for you! As a full service travel agency, a seasoned traveler and a professional paranormal investigator, I've developed the network and contacts to make your next adventure EXACTLY what you crave!